The Premium Leather covers are now available. It’s soft, supple, thick, it smells yummy and it’s gorgeous! You can choose from a variety of colours including Midnight Black, Mahogany Brown, Grey Sky, Sea Blue, Sunset Red, Sand Beige, Snow White and Chestnut. 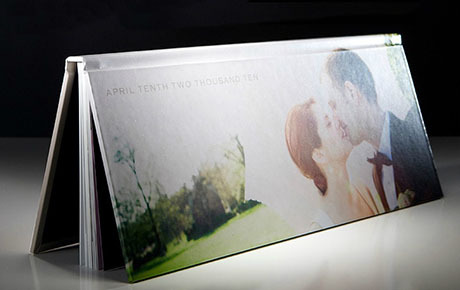 The Book Cloth cover is a modern unique take on wedding album covers and is available in a huge range of colours. You can choose from a huge range of Reds, Blues, Greens, Creams, Blacks and Whites – in actual fact there are in excess of 30 different colours to choose from! 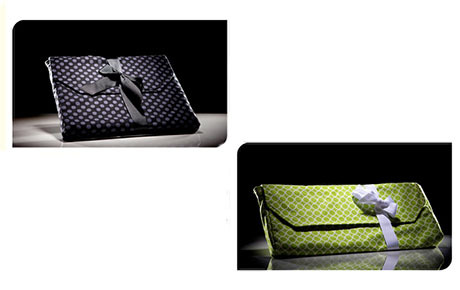 The Photo Wrap is a cover that is completely designable to your taste and style. Using matte paper the image completely wraps the entire cover area and is then coated with a cystal laminate that is simply gorgeous. The cover can be anything you wish ranging from your favourite image, your favourite colour, your favourite image AND colour or whatever else you would like! The Photo Strip is a great way to show off that WOW image on the front cover. The Photo Strip cover can be used with any of the Leather or Book Cloth covers and is a striking contrast of image against the colour and grain of the cover! Unsure if you would prefer a Leather, Book Cloth or Photo Wrap cover? No problem, the 3/4 Binding option allows you to have a piece of them all! The 3/4 Binding option allows you to use your favourite image on the cover as well as binding the book in your favourite Leather or Book Cloth colour! The 3/4 Binding cover can be used with any of the Leather or Book Cloth cover options. As your wedding photographer I take great pride in selecting the very best albums and books available in the market. The albums I supply are printed on fine art, museum quality paper with vibrant and vivid archival inks. Our albums are exclusive in Ireland to ATL Photography so we can ensure that your album is 100% unique to you and your special day. 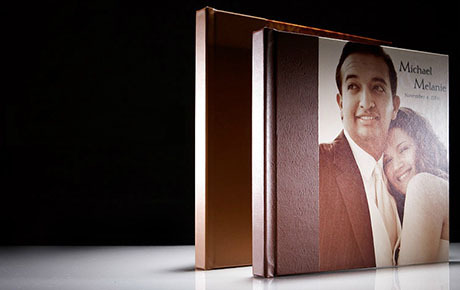 When you open up a Fine Art Storybook album from ATL Photography you see a full panoramic display of stunning images, because there are no cuts or gutters in the binding, the images display without any distractions. The albums are printed on matte paper that is rated to last generations without discoloring, yellowing or fading. Our albums have a variety of cover options ranging from Premium Leather, Book Cloth, Photo Strips, Three-Quarter Binding - the choice is yours and each and every one is 100% unique to you as no design is the same.